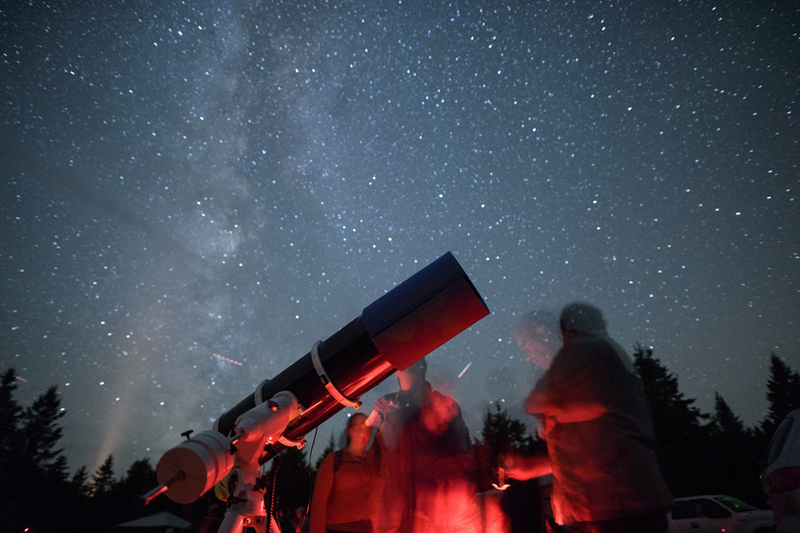 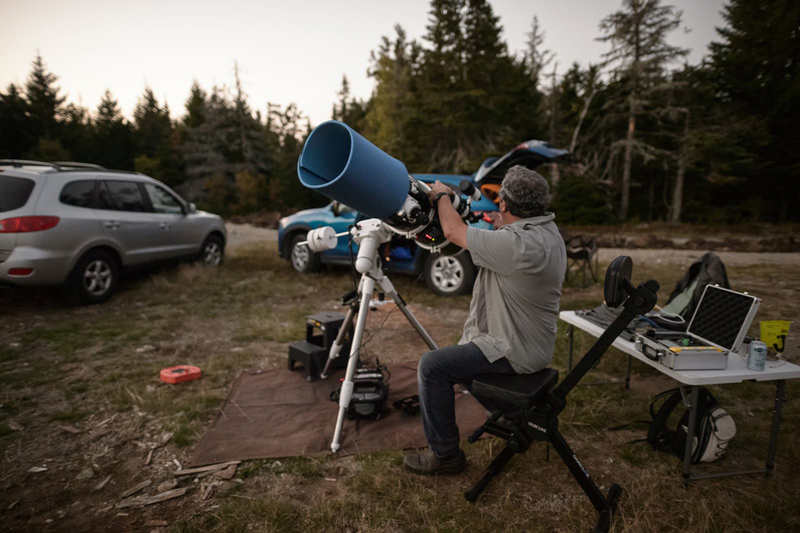 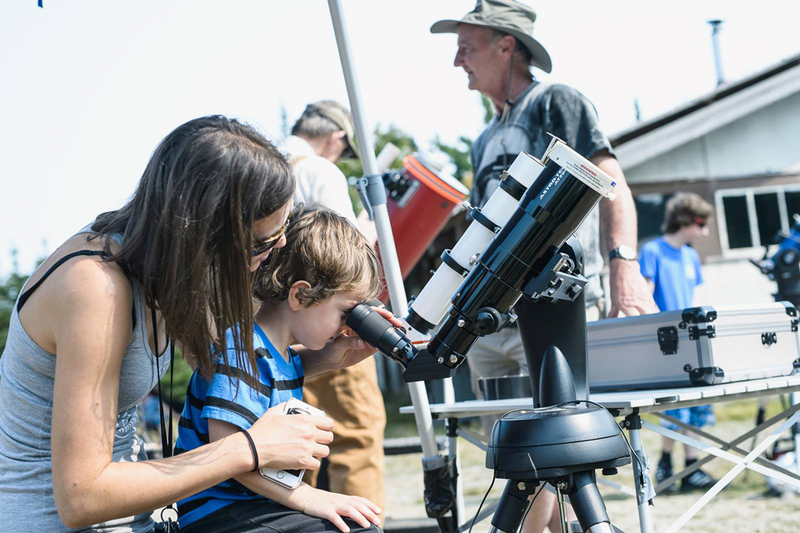 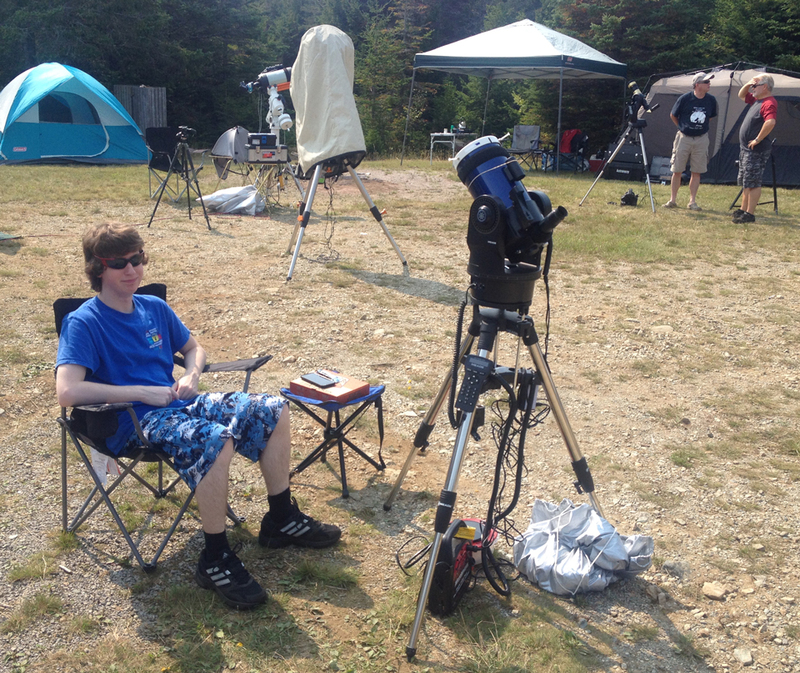 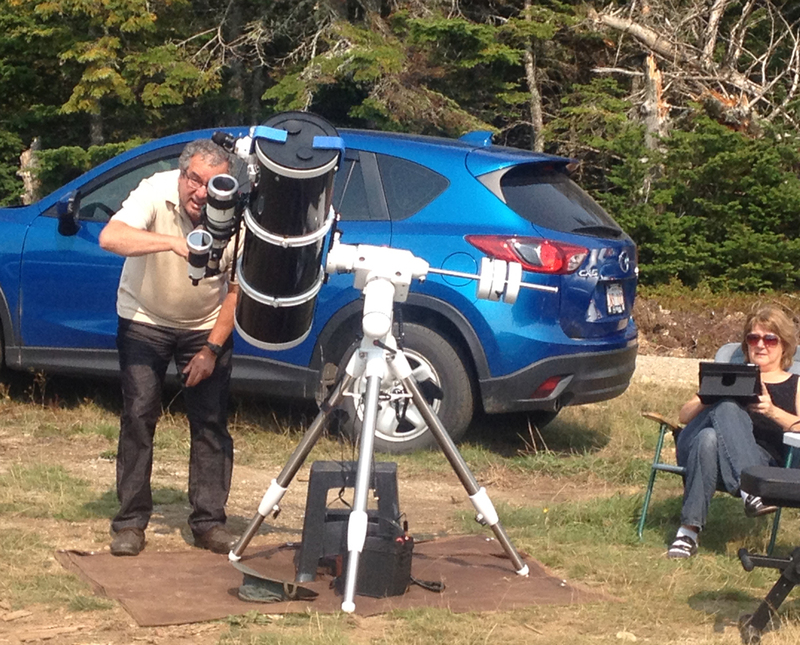 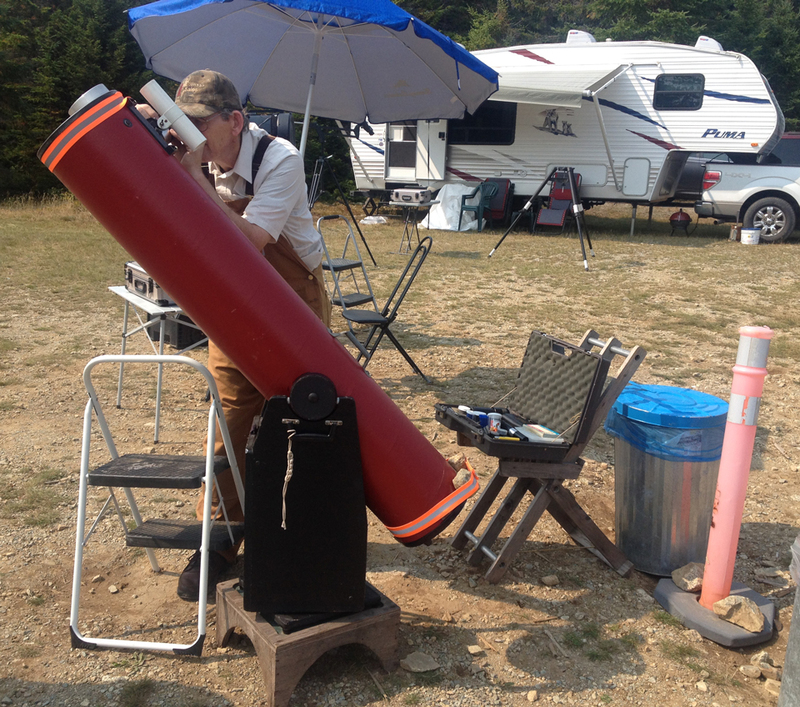 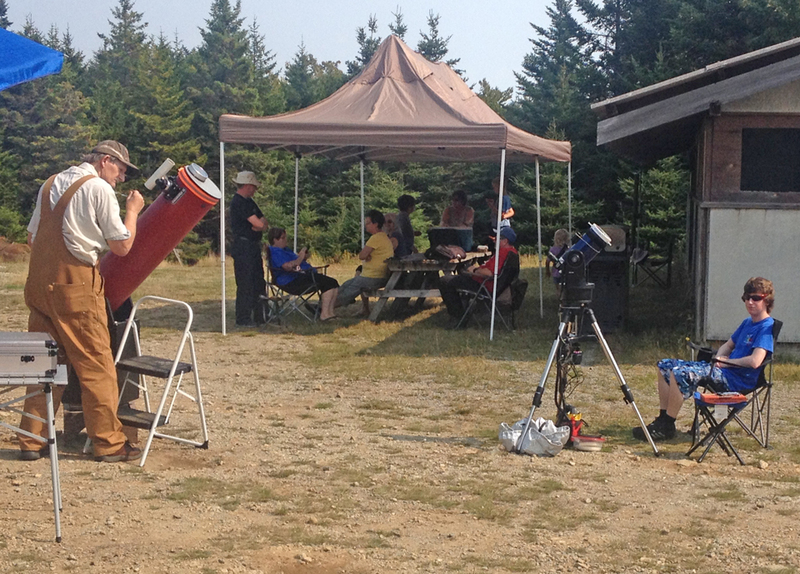 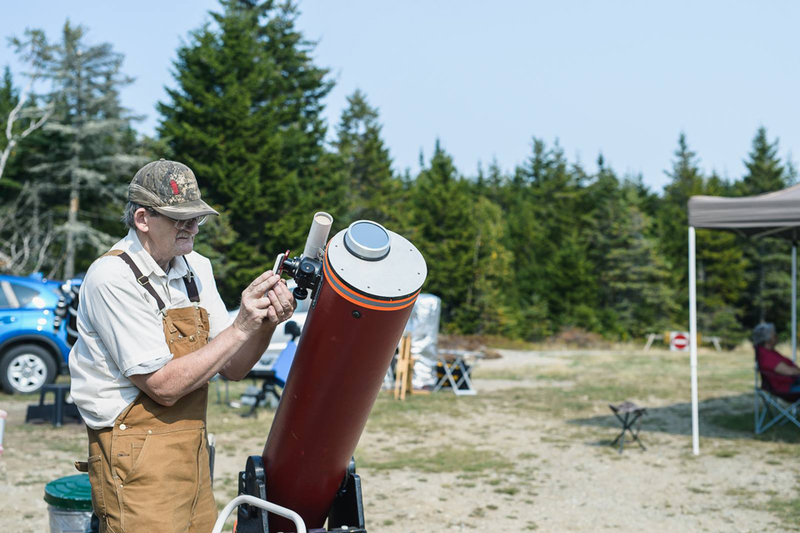 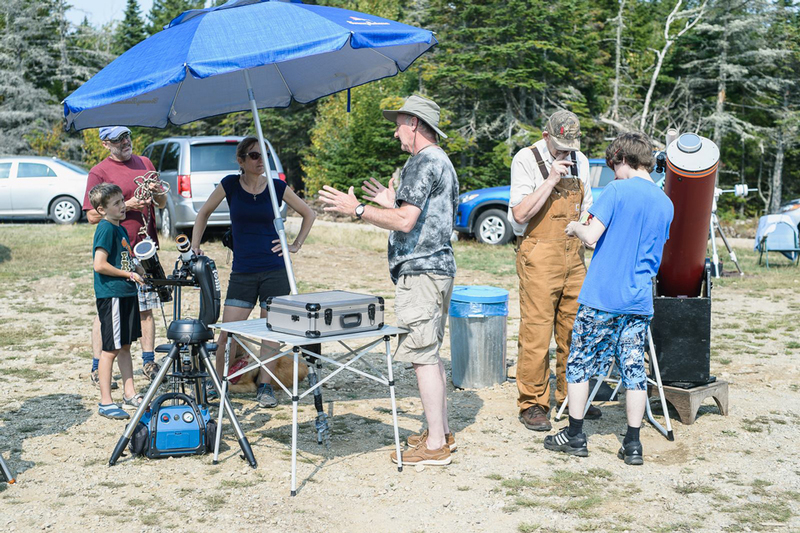 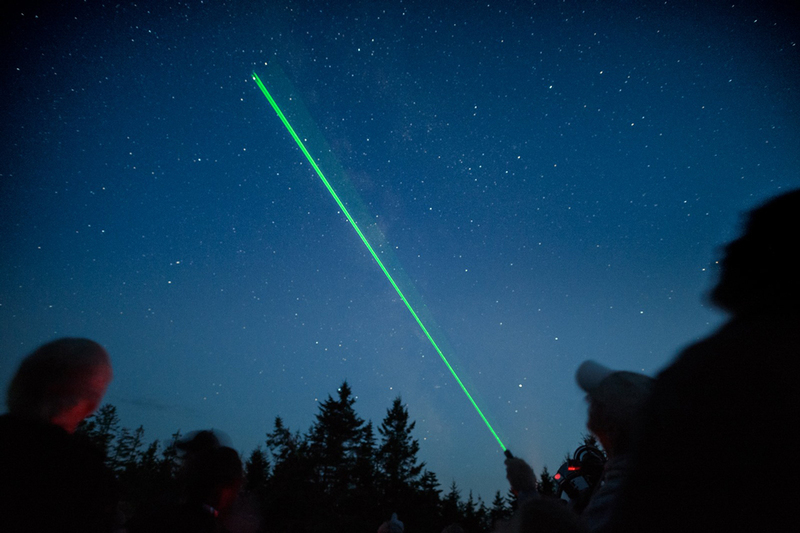 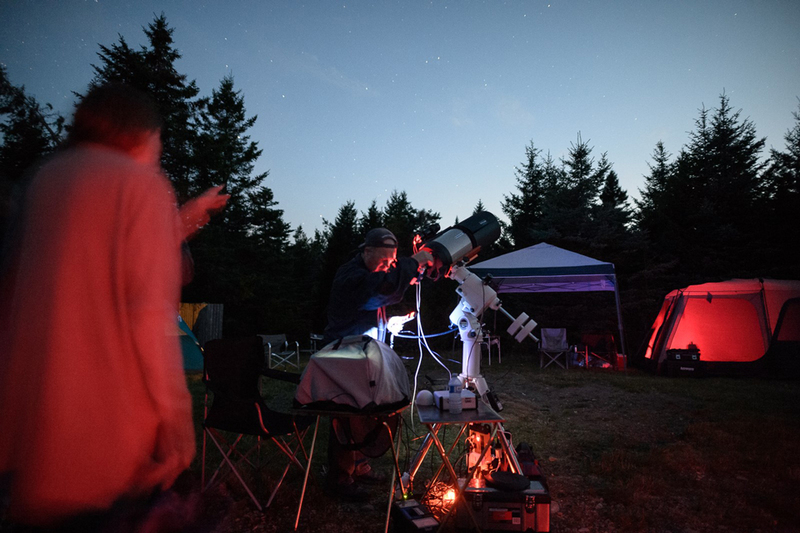 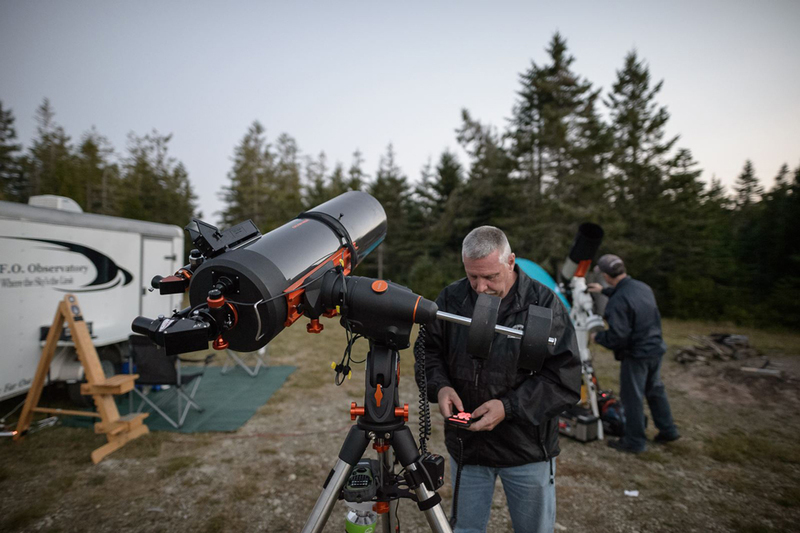 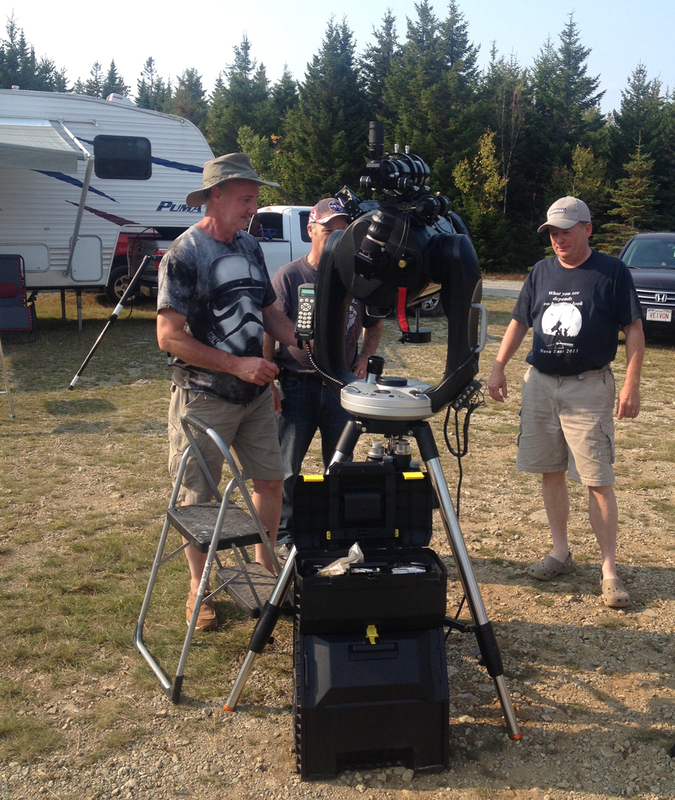 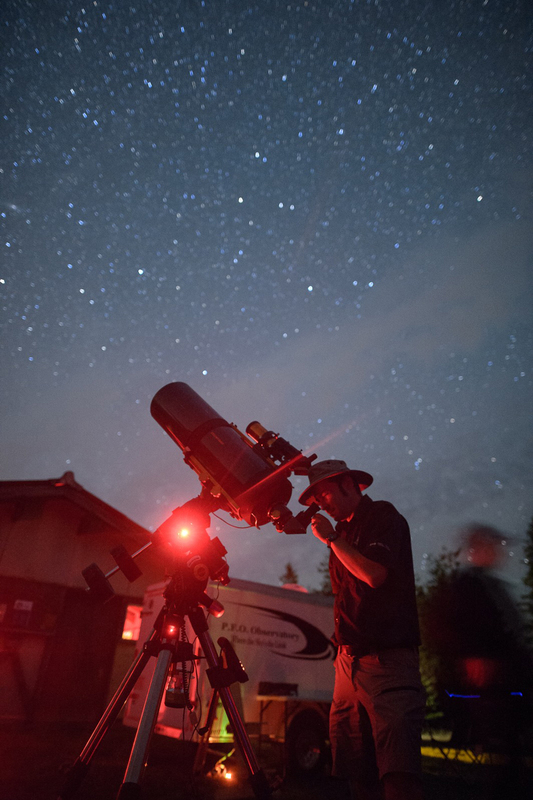 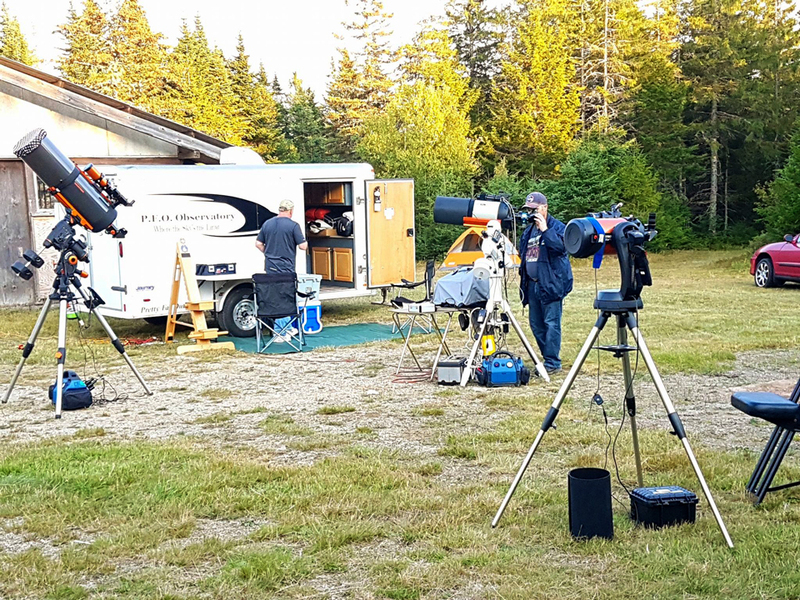 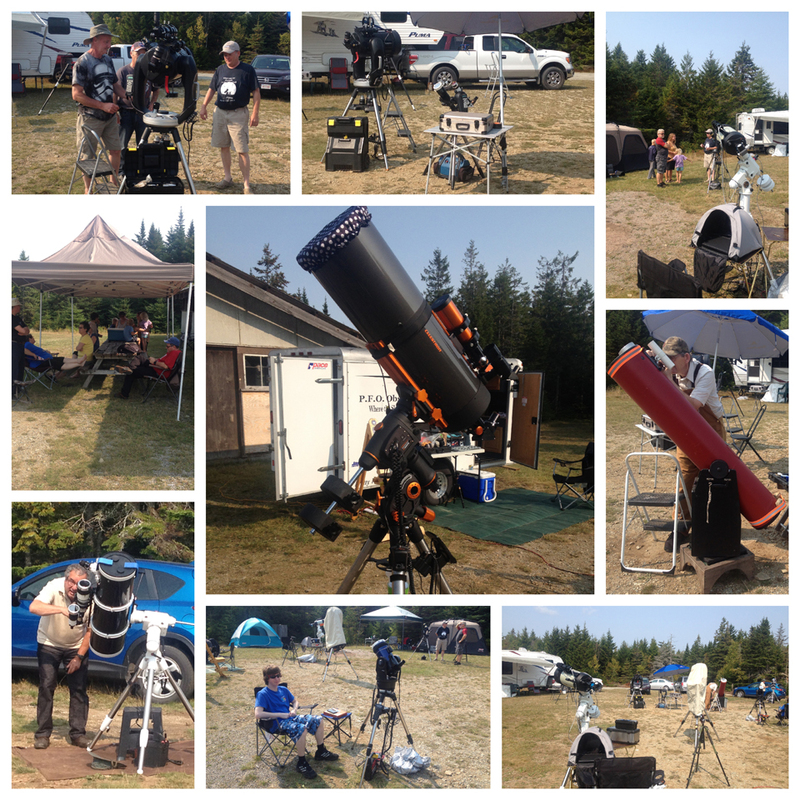 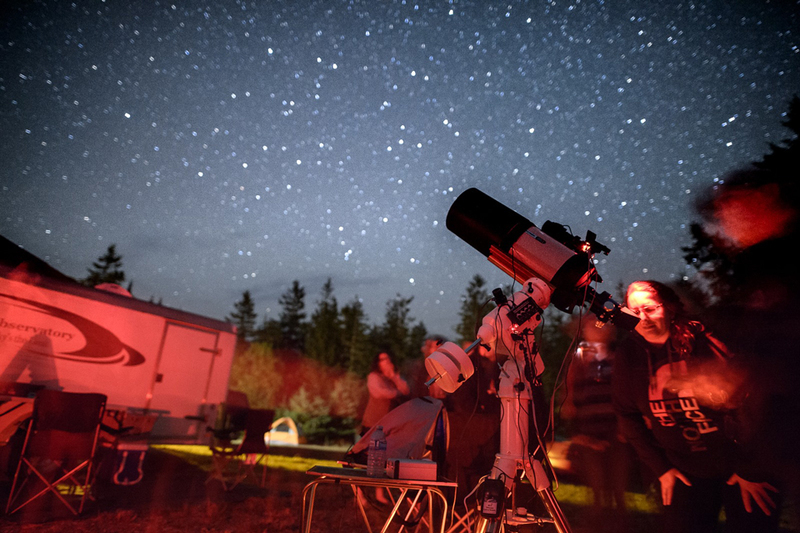 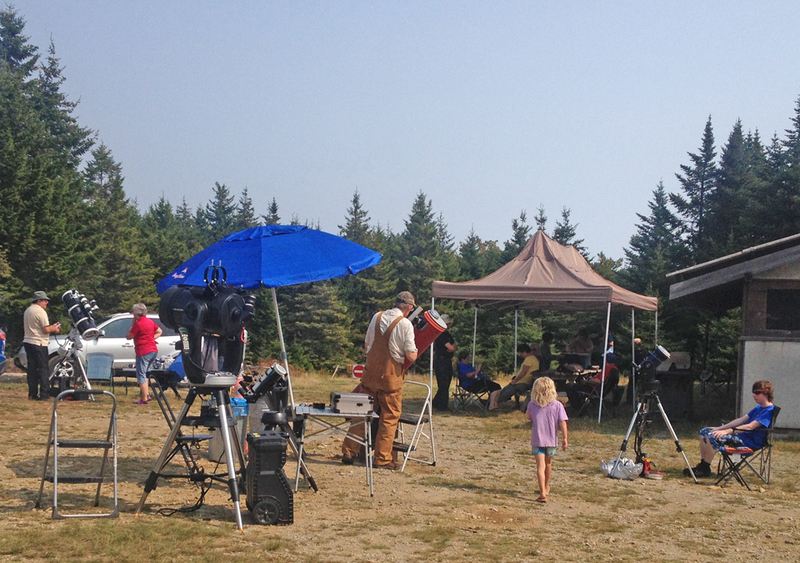 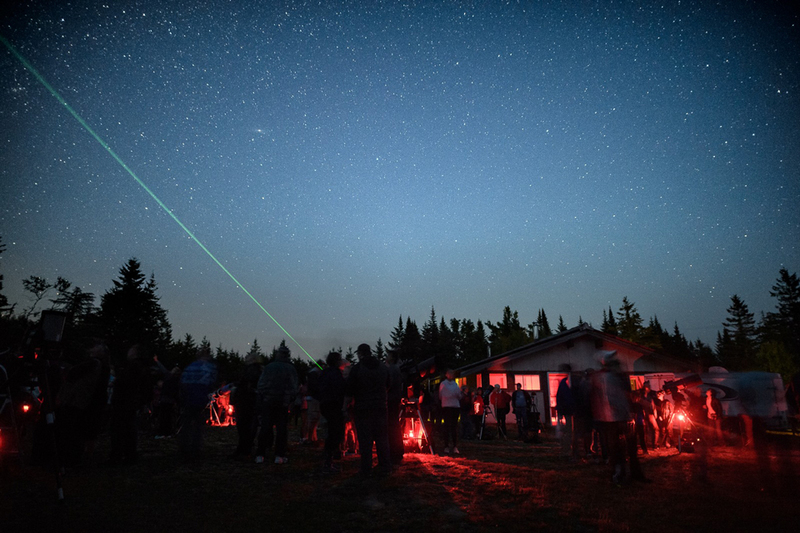 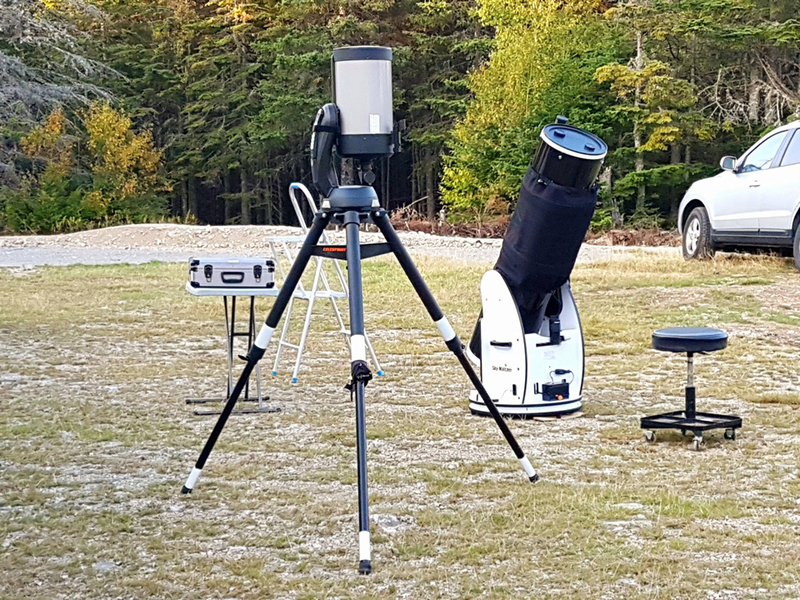 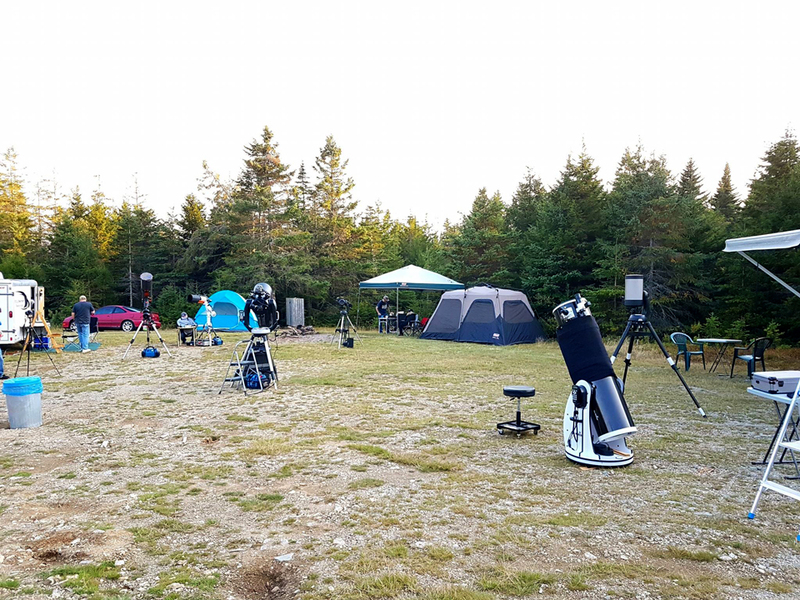 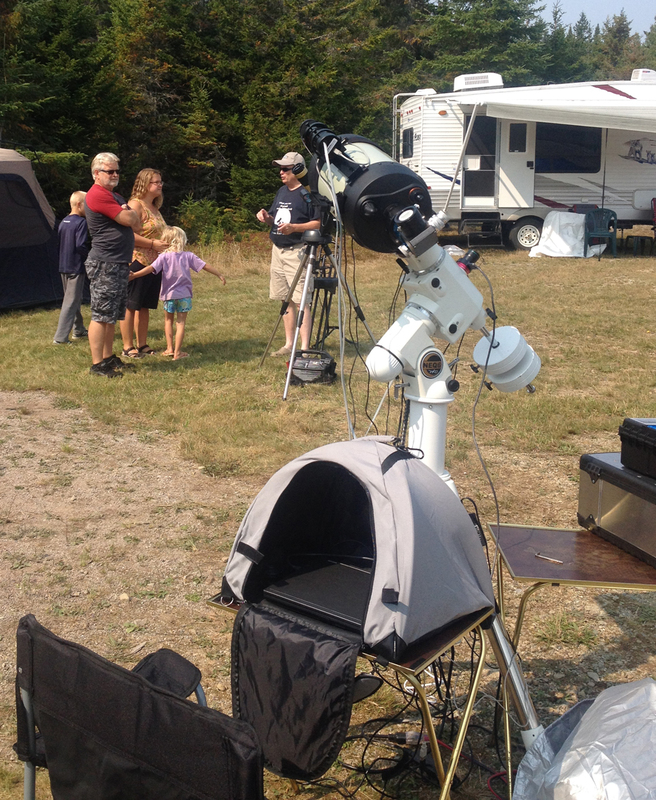 The Fundy Park StarGaze for 2017 was a success despite the fog on Saturday night, with about 250 visitors on Friday night, and about 70 participating in solar viewing on Saturday. 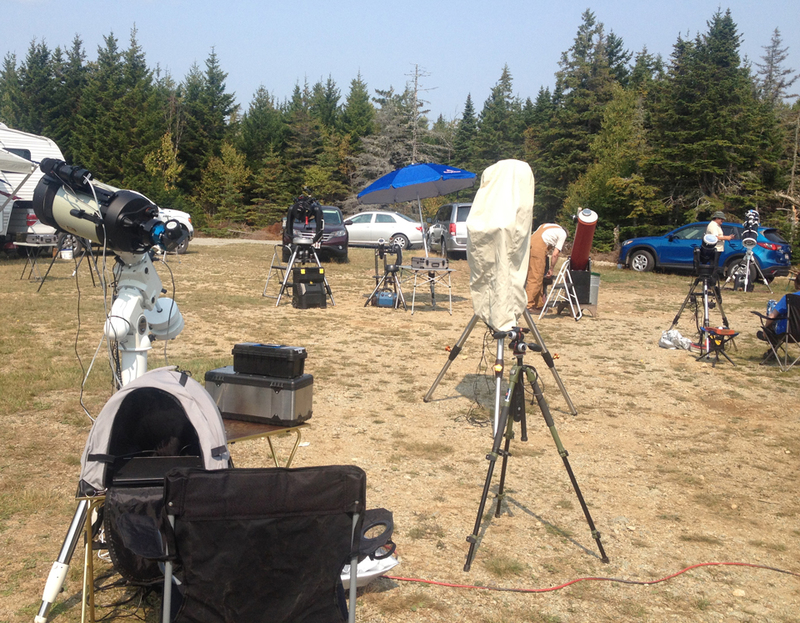 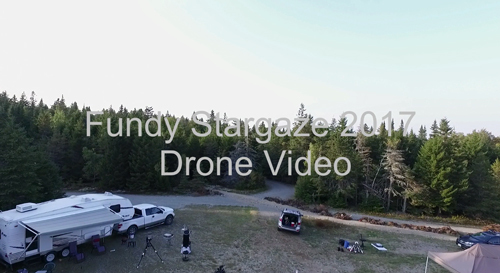 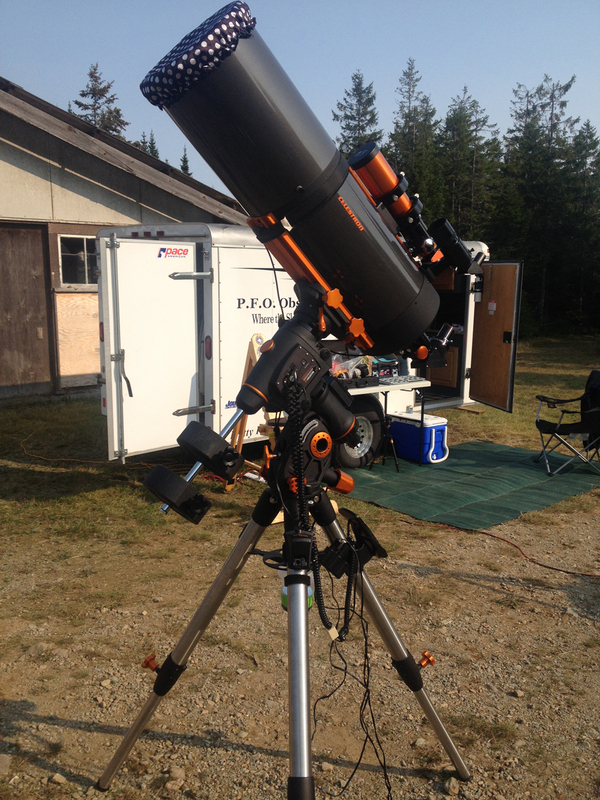 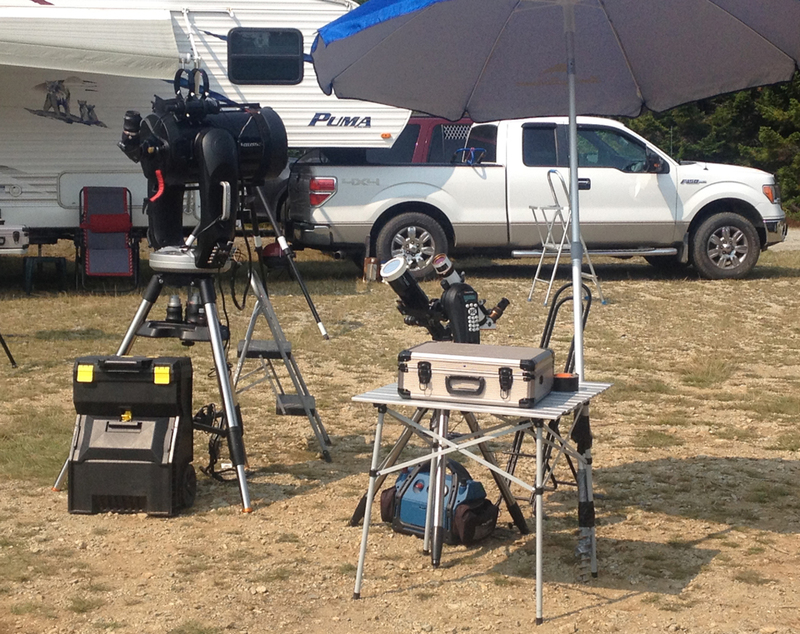 Check out the cool drone video by Mike Powell of the Fundy Park StarGaze setup. 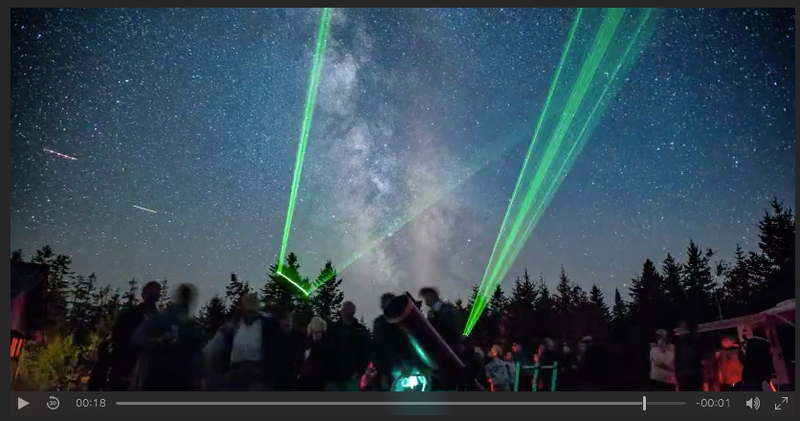 (Give it time to load on your computer–may play better on 2nd viewing). 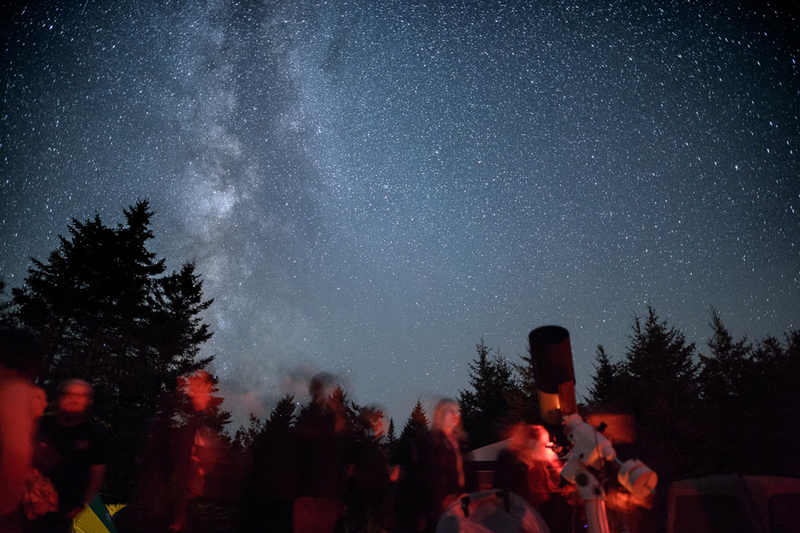 Above: click the pic for a great time lapse [photo credit Parks Canada/Nigel Fearon via Fundy FB page]. 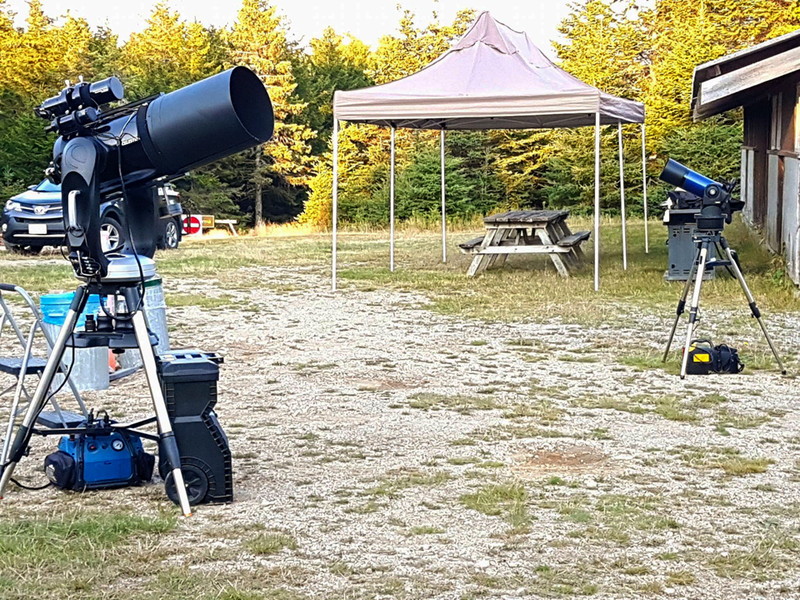 As twilight falls astronomers make their final run-through on their equipment [photo credits Parks Canada/Nigel Fearon]. 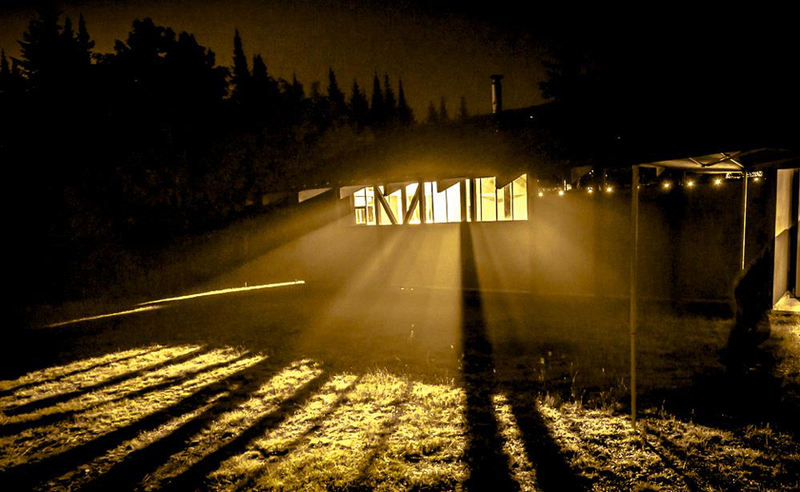 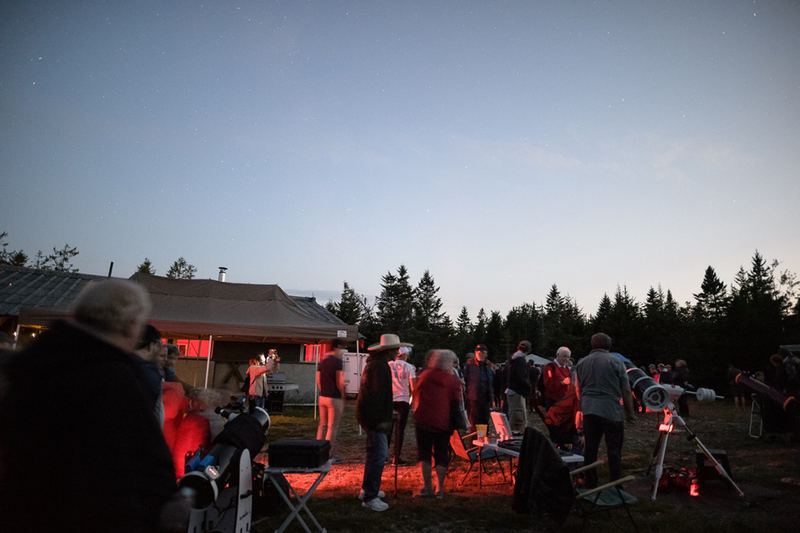 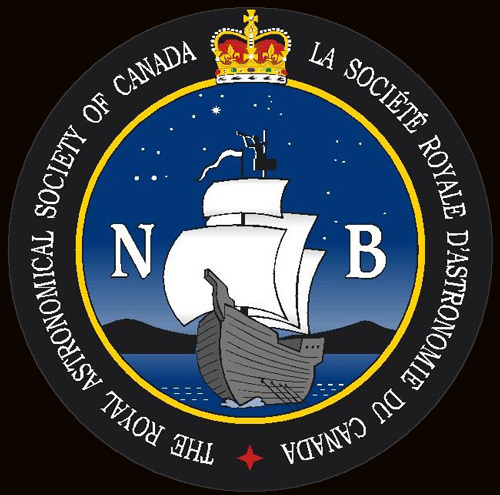 As sometimes happens at star parties, one evening was lost due to weather, and in this case Saturday evening was basically shut down due to fog/mist conditions which participants dubbed “The Fundy Nebula.” [photo by Paul Owen]. 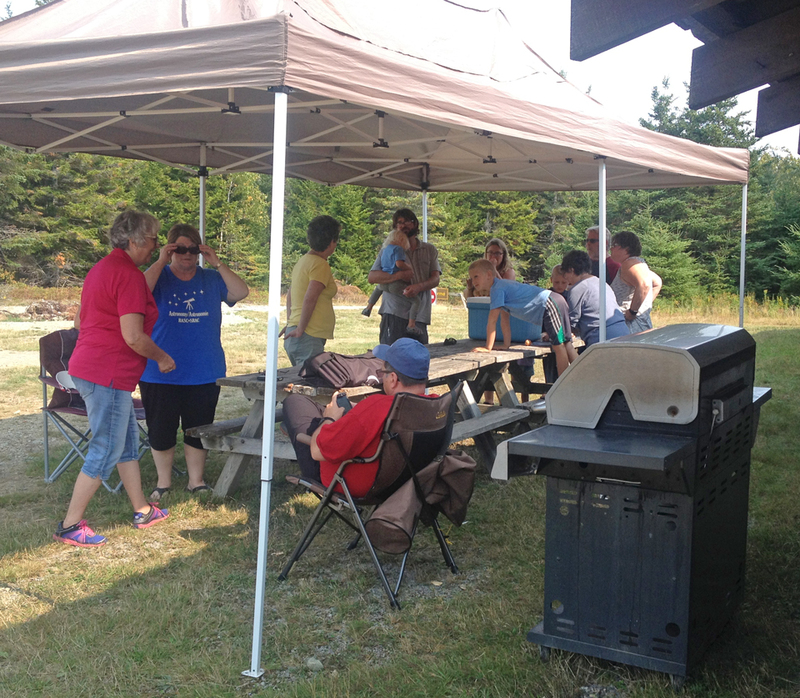 Time for laughs and socializing. 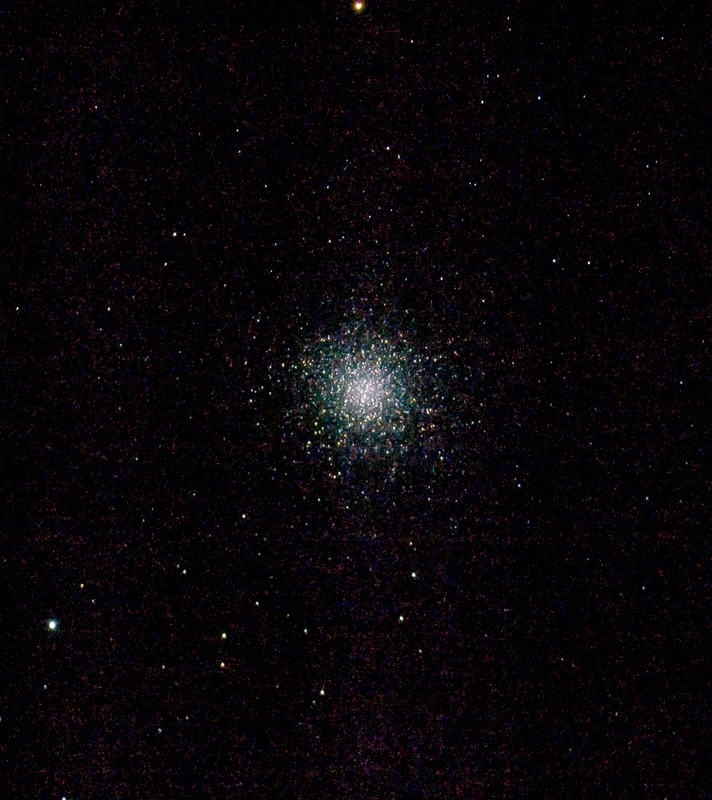 Visitors on Friday night were treated to some great views, as shown above in a single exposure of the Hercules Cluster M13 by Paul Owen.